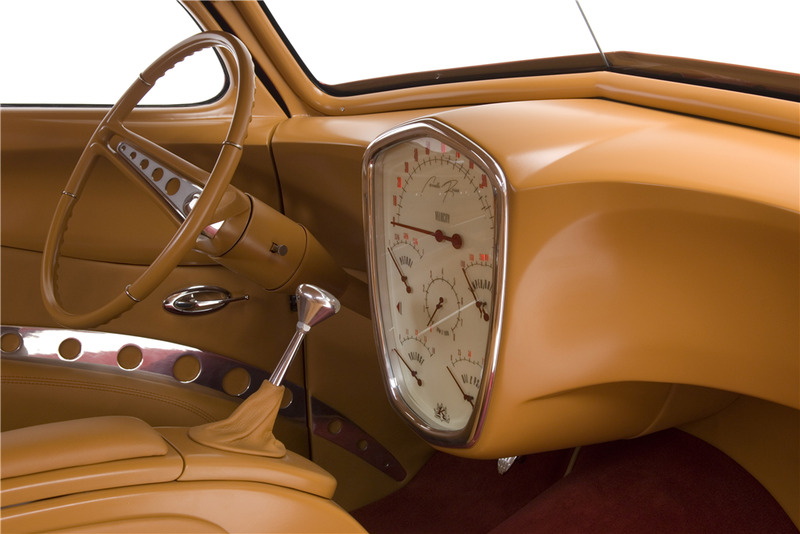 1937 Chevrolet Master Deluxe Custom Coupe "Cavallo Rossa"
Designed and built by Kindig-It Design, “Cavallo Rossa” - meaning red horse in Italian - is a paragon for the business that gave the company its recognizable notoriety. This 1937 Chevy coupe has been customized with a 3” chop top, windshield and 8” stretched front sheet metal and wheelbase, which give it a good silhouette. The rear fenders are widened and a set of custom running boards were fabricated. 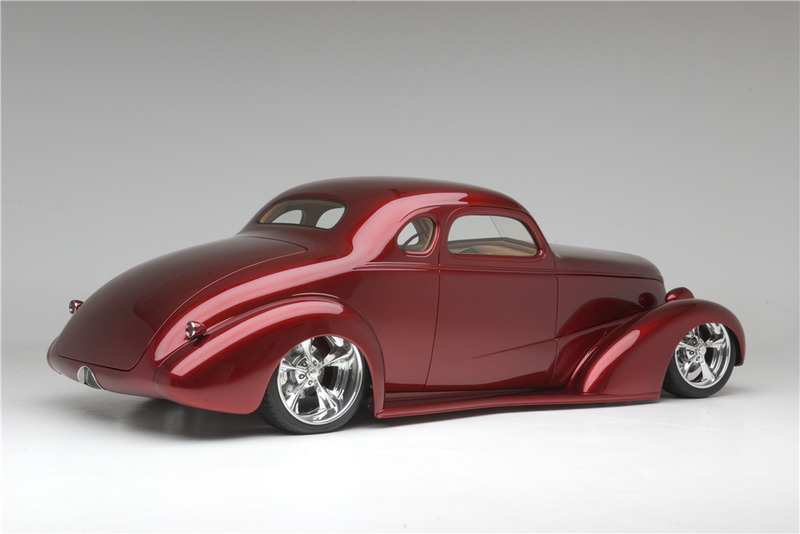 V-Rod headlights, hand-formed hood and engine side panels give this coupe a streamlined appearance. The doors are suicided and shaved. One-piece door glass, flush-mounted windshield and rear glass blend well with the exterior.